Türkiye’de, özellikle Avrupa Birliği müzakere sürecinin başlaması ile beraber göç alanında önemli kurumsal ve yasal reformların gerçekleştirildiğini görmekteyiz. 2011 yılında göç ve sığınma konusunda tarihi bir gelişme yaşanmış, Yabancılar ve Uluslararası Koruma Yasası taslağı oluşturulmuştur. Yasada yapılan çeşitli değişikliklerin ardından yasa, 4 Nisan 2013 tarihinde Parlamento’da onaylanmıştır. Bir yandan önemli reformların gerçekleştirildiği alanda, Türkiye’nin AB üyeliği için 1951 Cenevre Sözleşmesini coğrafi kısıtlama ile uygulamayı kaldırması olmazsa olmaz bir koşulken, Yabancılar ve Uluslararası Koruma Kanunu’nda bu kısıtlamanın sürdürülüyor olması, karar alma süreçlerinde rol alan aktörlerin önceliklerini incelemeyi gerektirmektedir. Diğer bir ifade ile Türkiye’nin iltica ve göç politikalarını analiz etmekte genel bir eğilim olarak faydalanılan Avrupalılaşma süreci, bugün gelinen noktada var olan politikayı açıklamakta yetersiz kalmakta, resmin tamamını görmek için iç dinamiklerin de incelenmesi zorunluğu ortaya çıkmaktadır. Türkiye’nin sığınma ve göç politikalarını oluşturmada rol alan aktörlerle yapılan mülakat verilerine dayanılarak, bu çalışmada göç politikalarını incelerken kurumsal analizin gerekli olduğu iddia edilmektedir. Bununla birlikte, maliyet değerlendirmelerine ilişkin söylemlerin göç politikalarında önemli ve incelenmesi gereken bir belirleyici durumuna geldiği çalışmada ortaya konulmuştur. BÉLAND, D. (2005). Ideas and Social Policy: An Institutionalist Perspective. Social Policy ve Administration, 39(1), 1- 18. BÉLAND, D., VE COX, R. H. (2010). Ideas and Politics in Social Science Research: Oxford University Press on Demand. BÉLAND, D., VE HACKER, J. S. (2004). Ideas, Private Institutions and American Welfare State ‘Exceptionalism’: the Case of Health and Old Age Insurance, 1915–1965. International Journal of Social Welfare, 13(1), 42-54. BLYTH, M. (2002). Great transformations: Economic Ideas and Institutional Change in the Twentieth Century: Cambridge University Press. BOSWELL, C. (2003). Burden‐Sharing in the European Union: Lessons from the German and UK Experience. Journal of Refugee Studies, 16(3), 316-335. BREWER, K. T., VE YUKSEKER, D. (2009). A Survey on African Migrants and Asylum Seekers in Istanbul. In A. Icduygu ve K. Kirisci (Eds. ), Land of Diverse Migration (pp. 637-723): Challenges of Emigration and Immigration in Turkey. 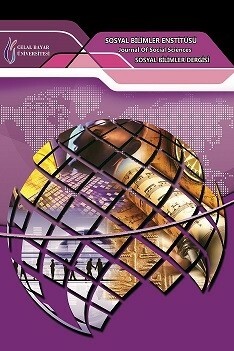 Istanbul: Istanbul Bilgi University Press. BURNHAM, P., GRANT, W., LUTZ, K. G., VE LAYTON-HENRY, Z. (2008). Research Methods in Politics. New York Palgrave Macmillan. CALAVITA, K. (2010). Inside the State: The Bracero Program, Immigration, and the INS: Quid Pro Books. CAMPBELL, J. L., VE PEDERSEN, O. K. (2001). The Rise of Neoliberalism and Institutional Analysis: Princeton University Press. CAPANO, G. (2003). Administrative Traditions and Policy Change: When Policy Paradigms Matter. The Case of Italian Administrative Reform During the 1990s. Public Administration, 81(4), 781-801. CHECKEL, J. (1993). Ideas, institutions, and the Gorbachev Foreign Policy Revolution. World Politics, 45(2), 271-300. COLLINSON, S. (1996). Visa requirements, carrier sanctions,'safe third countries' and'readmission': the development of an asylum'buffer zone'in Europe. Transactions of the Institute of British Geographers, 76-90. COLLYER, M. (2006). Migrants, migration and the security paradigm: Constraints and opportunities. Mediterranean Politics, 11(2), 255-270. DAUGBJERG, C., ve SWINBANK, A. (2009). Ideas, Institutions, and Trade: the WTO and the Curious Role of EU Farm Policy in Trade Liberalization. OUP Catalogue. FRANTZ, E. (2003). Report on the Situation of Refugees in Turkey: Findings of a Five-week Exploratory Study December 2002– January 2003. Forced Migration and Refugee Studies. American University of Cairo. FREEMAN, P. G. P., ve KESSLER, D. A. K. (2008). Political Economy and Migration Policy. Journal of Ethnic and Migration Studies, 34(4), 655-678. FRELICK, B. (1997). Barriers To Protection: Turkey's Asylum Regulations. International Journal of Refugee Law, 9(1), 8-34. GEDDES, A. (2003). The Politics of Migration and Immigration in Europe: Sage Publications Limited. GOLDSTEIN, J. (1993). Ideas, interests, and American Trade Policy: Cornell University Press. GOLDSTEIN, J., VE KEOHANE, R. O. (1993). Ideas and Foreign Policy: Cambridge Univ Press. GOODWIN-GILL, G. S., VE MCADAM, J. (2007). The refugee in international law: Clarendon Press Oxford. HALL, P. A. (1993). Policy Paradigms, Social Learning, and the State: The Case of Economic Policymaking in Britain. Comparative politics, 275-296. HANSEN, R., VE KİNG, D. (2001). Eugenic Ideas, Political Interests, and Policy Variance. World Politics, 53, 237-263. HUITT, R. K., VE ROBERT, L. (1969). Peabody, Congress: Two Decades of Analysis: New York: Harper ve Row. HUYSMANS, J. (2000). The European Union and the Securitization of Migration. JCMS: Journal of Common Market Studies, 38(5), 751-777. ICDUYGU, A. (2000). The Politics of International Migratory Regimes: Transit Migration Flows in Turkey. International Social Science Journal, 52(165), 357-367. ICDUYGU, A., VE KEYMAN, E. F. (2000). Globalization, Security, and Migration: the Case of Turkey. Global Governance, 383- 398. IMMERGUT, E. M. (1998). The Rules of the Game: The Logic of Health Policy-Making in France, Switzerland, and Sweden. In S. Steinmo, K. Thelen ve F. Longstreth (Eds. ), Structuring Politics: Historical Institutionalism in Comparative Analysis (pp. 57-89). Cambridge Cambridge University Press. INGRAM, P. ve SILVERMAN, B. S. 2002. The New Institutionalism in Strategic Management, JAI. JUPILLE, J., VE CAPORASO, J. A. (1999). Institutionalism and the European Union: beyond international relations and comparative politics. Annual review of political science, 2(1), 429-444. KAYA, I. (2009). Reform in Turkish Asylum Law: Adopting the EU acquis? , European University Institute Robert Schuman Centre for Advance Studies. KESER, H. (2006). Justice and Home Affairs: Europeanisation of Turkish Asylum and Immigration Policy in the light of the Central and Eastern Europe Experience Ankara Review of European Studies 5(3), 115-130. KİRİSCİ, K. (1996a). Is Turkey Lifting the 'Geographical Limitation'- The November 1994 Regulation on Asylum in Turkey. International Refugee Law, 8(3), 293-318. KİRİSCİ, K. (1996b). Is Turkey Lifting the Geographical Limitation-The November 1994 Regulation on Asylum in Turkey. Int'l J. Refugee L., 8, 293-318. KİRİSCİ, K. (1996c). Security for States vs. Refugees: peration Provide Comfort and the April 1991 Mass Influx of Refugees from Northern Iraq into Turkey. Refuge: Canada's Journal on Refugees, 15(3). KİRİSCİ, K. (2000). Disaggregating Turkish Citizenship and Immigration Practices. Middle Eastern Studies, 36(3), 1-22. KİRİSCİ, K. (2002). Immigration and Asylum Issues in EU– Turkish Relations: Assessing EU’s Impact on Turkish Policy and Practice’. LAVENEX, S. & UÇARER, E. M. (eds.) Migration and the Externalities of European Integration. KİRİSCİ, K. (2003). The Question of Asylum and Illegal Migration in European Union-Turkish Relations. Turkish Studies, 4(1), 79-106. LECOURS, A. (2005). New Institutionalism: Issues and Qestions. A. Lecours (Ed. ), New Institutionalism: Theory and Analysis: University of Toronto Press. LIBERMAN, R. C. (2002). Ideas, Institutions, and Political Order: Explaining Political Change. American Political Science Review, 96(04), 697-712. LOESCHER, G. (2001). The UNHCR and World Politics: State Interests vs. Institutional Autonomy. International Migration Review, 35(1), 33-56. MARCH, J. G., VE OLSEN, J. P. (1989). Rediscovering Institutions: The Organizational Basis of Politics: Simon and Schuster. NOLL, G. (2003). Risky Games? A Theoretical Approach to Burden-Sharing in the Asylum Field. Journal of Refugee Studies, 16(3), 236-252. OZGUR, N., VE OZER, Y. (2010). Turkiye'de Siginma Sisteminin Avrupalilastirilmasi Istanbul: Derin. PETERS, B. G. (2012). Institutional Theory in Political Science (3rd ed.). New York: Continuum. PIERSON, P. (1996). The Path to European Integration A Historical Institutionalist Analysis. Comparative political studies, 29(2), 123-163. RAYMOND, L., VE OLIVE, A. (2009). Ideas, Discourse, and Rhetoric in Political Choiceveast. Polity, 41(2), 189-210. SCHMIDT, V. A. (2008). Discursive institutionalism: the explanatory power of ideas and discourse. Annu. Rev. Polit. Sci., 11, 303-326. SCHMIDT, V. A. (2010). Taking Ideas and Discourse Seriously: Explaining Change through Discursive Institutionalism as the Fourth ‘New Institutionalism’. European Political Science Review, 2(1), 1-25. SCHMIDT, V. A. (2011). Reconciling Ideas and Institutions through Discursive Institutionalism. D. Béland ve R. H. Cox (Eds. ), Ideas and Politics in Social Science Research: Oxford University Press on Demand. SELM, J. V. (2005). Where Migration Policy is Made. Starting to Expose the Labyrinth of National Institutional Settings for Migration Policy Making and Implementation Global Migration Perspectives (Vol. 37). Switzerland: Global Commission on International Migration. SOYKAN, C. 2010. The Impact of Common European Union Immigration Policy on Turkey. Ethnologia Balkanica, 207. STEINMO, S. (1989). Political institutions and tax policy in the United States, Sweden, and Britain. World Politics, 41(4), 500-535. STEINMO, S. (2001). Institutionalism. In N. Polsby (Ed. ), International Encyclopedia of the Social and Behavioral Sciences Vol.11 (Vol. 11). TANSEY, O. (2007). Process Tracing and Elite Interviewing: a Case for Non-probability Sampling. PS: Political Science and Politics 40(4), 765-772. UÇARER, E. M. (2006). Burden-shirking, burden-shifting, and burden-sharing in the emergent european asylum regime. International Politics, 43(2), 219-240.